The Colour Run is Back!!! 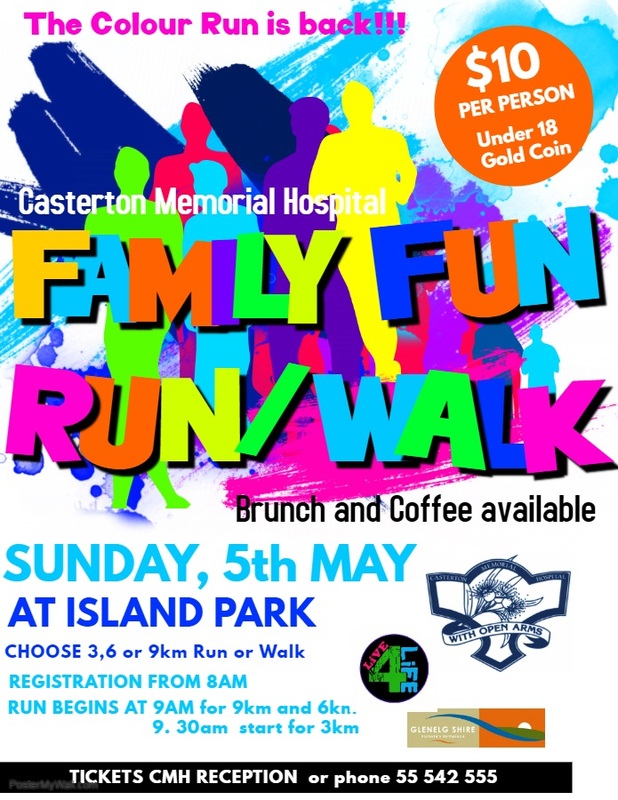 Come along to the CMH Fun Run / Walk on Sunday 5th May 2019 at Island Park Casterton. Your choice of either 3km, 6km or 9km. Registrations open from 8.00am or pre register at CMH reception prior to the event. Brunch and Coffee will be available. All enquiries welcome 03 555 42 555.